If you are an absolute beginner, you will benefit from learning some of the complete basics before joining No Fear Bridge. 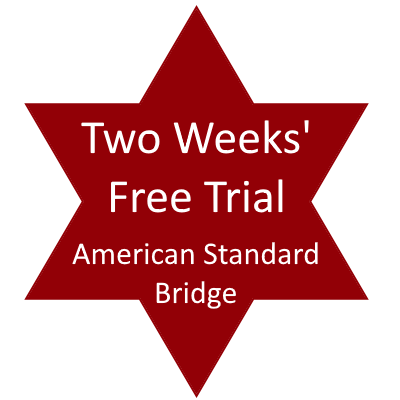 You will find a series of 12 lessons for absolute beginners at Bridge-lessons.blogspot.com. Lesson 4 – The Contract – what does the final contract mean? What are trumps, what are No Trumps? Lesson 8 – The Rule of 20 – can you open the bidding with fewer than 12 points? Lesson 10 – Responding To A Bid Of 1NT – if partner bid 1NT, what should your reply be? Lesson 11 – Responding To An Opening Bid Of One Of A Suit – if partner opened with a one of a suit bid, what should your reply be? Lesson 12 – Bridge Scoring – the key to understanding the bidding – how is a game of bridge score?